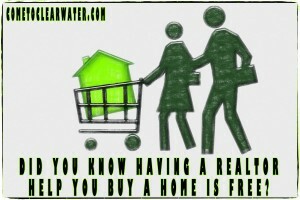 Did You Know Having a Realtor Help You Buy a Home is Free? You’ve decided to buy a home, but you are worried about the costs. One big one is the cost of the Realtor when you buy. Did you know that having a Realtor helping you buy a home is in most cases free? Here’s how. If you hire an agent to represent you as a buyer, that agent represents you, not the seller. They are there to be in your corner. Sure, you could look on your own or take your chances relying on the seller’s agent. If you do that there is no one to answer your questions or represent you in the purchase. Do you know all the ins and outs of a real estate transaction? Do you know what to do if things go sideways? Having an agent on your side is important. Not having to pay them for their time and advice is priceless. The Realtor gets their paycheck at the settlement table, whether seller’s agent or buyer’s agent. That said at the closing table the seller is responsible for paying those fees. If you have a separate buyer’s agent the fees are split, unless there is an agreement saying otherwise. Remember in a home sale, everything is negotiable. Generally, though, the seller pays. So what does that mean for you? It means you get the services of a professional, the advice, the legwork and everything else, for no cost to you.